Looking for a Drug Rehab or Alcohol Rehabilitation Center in Idaho? When someone in Idaho has an alcohol or drug problem, there are drug rehab programs in the state which can make abstinence and a better life far more realistic than attempting to accomplish this on one's own. The odds are often just too great without help, and this is why so many Idaho residents who try and quit on their own relapse time and time again. Being addicted to drugs or alcohol doesn't make someone a bad person, and there are solutions in the state even if someone has tried drug rehab in the past. So speak with a drug treatment counselor in Idaho today to get the information and help you need, or perhaps help for someone you care about today. In a single-day count in 2013, over 6,600 individuals in Idaho were enrolled in some type of substance use treatment. This was an increase from 4,246 individuals in 2009. Among residents enrolled in treatment in Idaho that year, 20.0% were in treatment for drug use only, 19.3% were in treatment for alcohol use only, and 60.6% were in treatment for both drug and alcohol use. This indicates that poly-drug use is the most significant problem in Idaho, with marijuana and amphetamines such as methamphetamine and crystal meth being the most significant illicit drugs of choice and each accounting for about 25% of treatment admissions in the state. About 10% of treatment admissions cite heroin and other opiates as their drug of choice, so this is also another significant problem in Idaho. Other opiates would pertain to the non-medical use of prescription pain killers. Because alcohol is such a big part of the drug problem in Idaho, drug treatment programs in the state are accustomed to treating alcohol addiction and dependence concurrent to another drug problem, which is also sometimes called a dual diagnosis. Poly-drug use can be treated just as effectively as a single drug or alcohol disorder, but usually requires extremely intensive and aggressive treatment. AA meetings for example may not be the right solution in many cases although it could be suggested as part of a continuum of care. Surprising, long-term success rates of AA and other 12-step programs are not very high, 10% at the most. Inpatient and residential facilities in Idaho offer the programs and format for alcohol and poly-drug use clients to have the best results and outcomes. There are only around 115 drug rehab programs total in the state of Idaho, with outpatient drug treatment programs accounting for the majority of treatment services available. There are however 14 facilities which provide both short and long term residential treatment, and there are 5 hospital inpatient facilities in the state. Only 7 of the outpatient treatment centers in Idaho provide opiate maintenance services, where the drugs methadone and buprenorphine are administered to clients who are opiate dependent. There are actually only around 135 clients participating in opiate maintenance programs in Idaho, and there are many clients who have been able to stop a heroin or pain killer addiction without the use of these drugs, although it does involve extremely intensive treatment and drastic changes in one's lifestyle and environment because of the nature of opiate addiction and dependence. The highest success rates among opiate dependent clients who wish to abstain from drugs completely are seen in inpatient and residential facilities in the state. What does Inpatient Rehab in Idaho Involve? As discussed there are 5 hospital inpatient programs in Idaho, and 14 non-hospital residential drug rehab programs which provide both short and long term treatment. Inpatient and residential treatment programs in Idaho are the most ideal environment when outpatient rehab has been unsuccessful, but more importantly as the first option for chronic long term addicts who are in treatment for the first time. When trying to overcome a serious drug and/or alcohol problem. Comprehensive treatment plans can be centered on the specific needs of each client, and the client's daily activities in the program can be more focused on what they specifically need to resolve. Clients in Idaho can participate in either a short term 30-day program or a long term program which can last anywhere from 60 days to several months. 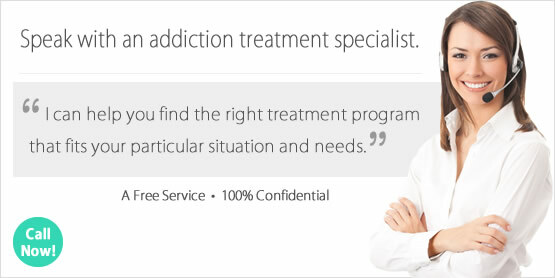 This is all dependent on what the client can afford, and how significant their needs are depending on their level of addiction and if anything else will need to be addressed in treatment, such as a co-occurring mental health disorder which inpatient and residential programs in the state are almost always prepared to address. What does Outpatient Rehab in Idaho Involve? The vast majority of treatment available in Idaho is outpatient, which is treatment that can vary in intensity and aggressiveness but may not be the highest level of intervention for individuals who have failed to stop sober following prior treatment episodes or individuals who have struggled with chronic long term addiction. Most of the outpatient programs provide traditional therapy and counseling but some provide alternative treatment as well, such as behavioral modification and motivational therapy. Some of the day treatment/partial hospitalizations facilities in the state are able to offer dual diagnosis treatment for individuals with a co-occurring mental health disorder. Some programs deliver outpatient treatment as intensively or as moderately as desired, and can provide as little as one day per week of treatment or daily treatment. When taking part in a program which focuses on group treatment, such as focus groups, treatment is centered on counseling which fosters support and guidance from one's peers and individual is more personalized and can be tailored to suit the needs of each client.